Give Organic Curl Systems a TRY!!! The ingredients contained in Organic Curl Systems have been carefully selected to create a product which is as natural as possible, while doing the job it is intended for. The neutralizer is rich in wheat and soy protein, which are natural hair conditioners. The wheat protein also increases protein levels and strengthens the hair. Organic Curl Systems is suitable for all perming and relaxing techniques, including weave wind, root lift and traditional perms, as well as straightening and relaxing. Organic Curl Systems works between pH 4.5 and 6.5, depending on how much activator is added and leaves the hair around its natural optimum isometric pH level, so it is undamaged by the service. 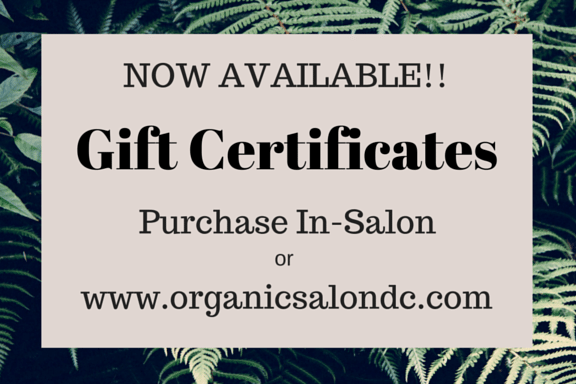 Organic Curl Systems is suitable for all hair types, even damaged hair or sensitive scalps. This amazing product virtually eliminates any risk of breakage of the disulfide bonds as it naturally and reliably forms soft, flowing, healthy, and natural new bonds. 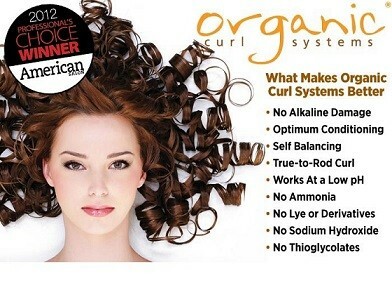 Organic Curl Systems is self-balancing with optimum conditioning. The low pH it operates at virtually eliminates any damage to the hair. With Organic Curls Systems, there is little need for test curls and the gentle, organic ingredients will give your clients fabulous results.